Sao Paulo in the 40s, 50s & 60s. : Radio Eldorado, 700 kilocycles, 4 January 1958. 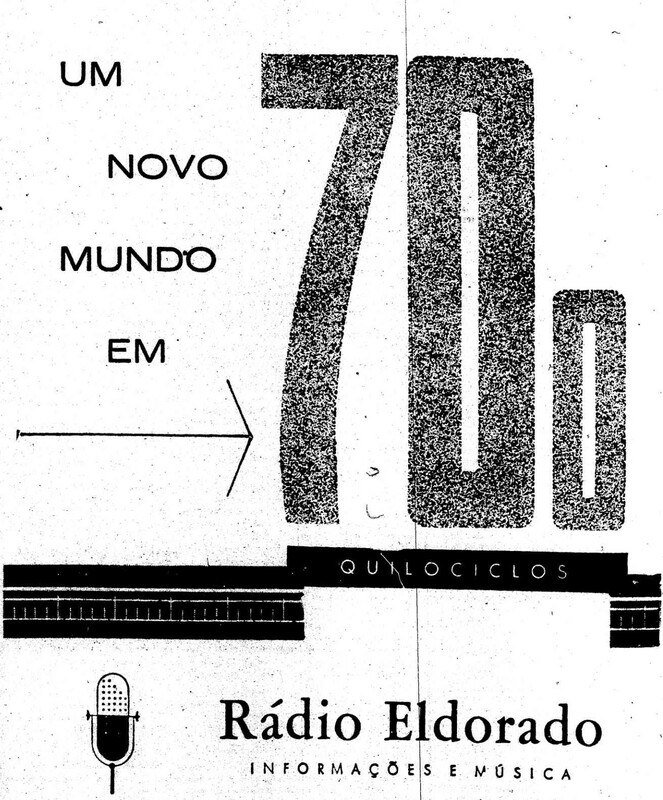 5 January 1958 - the newst radio station in Sao Paulo, Radio Eldorado, starts its operation on a Saturday being blessed by Don Carlos Carmelo de Vasconcelos Melo, Catholic Church's highest authority and Carvalho Pinto the conservative governor of Sao Paulo. Popular Brazilian President Juscelino Kubitschek was anathema for the conservative newspaper owner Julio de Mesquita Filho. 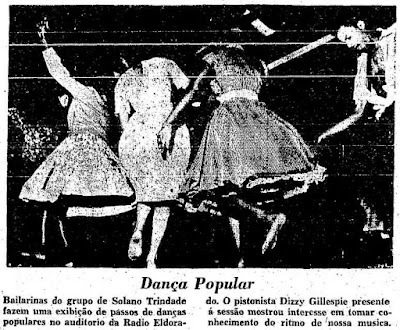 5 January 1958 - daily 'O Estado de Sao Paulo' report about Radio Eldorado inauguration the previous day. 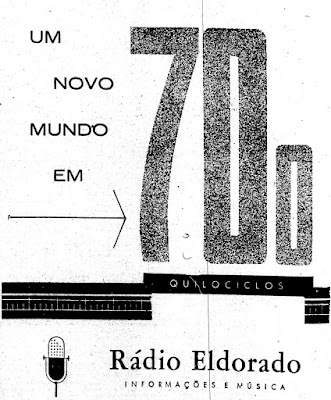 1st May 1958 - Radio Eldorado ad on 'O Estado de S.Paulo'. There was a time in 1959, that conservative daily 'O Estado de S. Paulo' saw Fidel Castro's revolution in Cuba with benign eyes. Radio Eldorado even broadcast programmes about Cuban Revolutionary Songs in 1959. That all ended when the USA cut diplomatic relations with Cuba in early 1961... and after Castro declared himself Marxist-Leninist on 2nd December 1961, OESP and Radio Eldorado would rather see the Devil himself than Fidel & Communism. 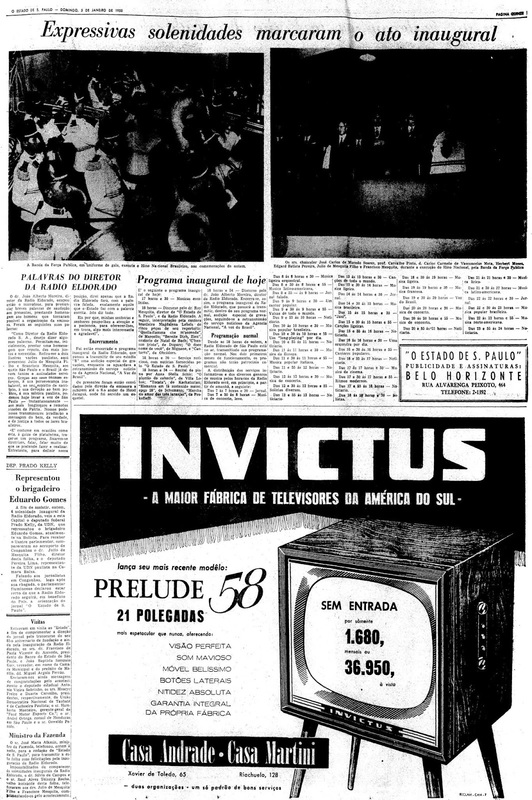 9 August 1959 - For those who know a little about politics this article published at daily 'O Estado de S.Paulo' is an aberration. 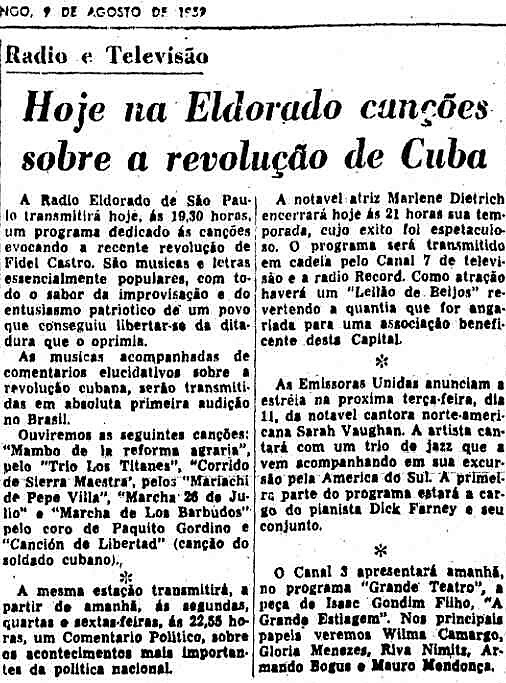 Radio Eldorado, owned by the very conservative group Estadão, presented a programme showcasing some of the Cuban Revolution most popular songs. As soon as Fidel Castro declared himself a Marxist-Leninist follower, 'OESP' would rather see the Devil himself than anything related to Cuba and Communism. So it is actually fun to read this article and imagine that one day hyper-conservative Radio Eldorado played songs like 'Canción de Libertad' (canção do soldado cubano), 'Marcha de los barbudos', 'Marcha 26 de Julio' or 'Mambo de la Reforma Agraria'... the simple words Reforma Agrária (Land Reform) was anathema for those conservative bulwark. Following a year of severely-strained relations between the USA and Cuba, Fidel Castro openly declares that he is a Marxist-Leninist. The announcement sealed the bitter Cold War animosity between the two nations. Fidel Castro came to power in 1959, after leading a successful revolution against the dictatorial regime of Fulgencio Batista. Almost from the start, the US worried that Castro was too leftist in his politics. He implemented Agraria Reform, expropriated foreign oil company holdings, and eventually seized all foreign-owned property in Cuba. He also established close diplomatic relations with the Soviet Union, and the Russians were soon providing economic and military aid. 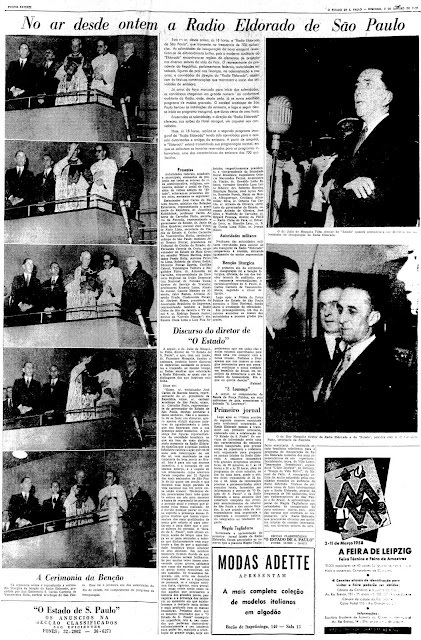 By January 1961, the USA had severed diplomatic relations with Cuba. In April, the ill-fated Bay of Pigs invasion took place, wherein hundreds of rebles, armed and trained by the US, attempted a landing in Cuba with the intent of overthrowing the Castro government. The attack ended in a dismal military defeat for the rebles and an embarrassing diplomatic setback for the USA. Some questioned Castro's dedication to the communist cause, believing that his announcement was simply a stunt to get more Soviet assistance. Castro, however, never deviated from his declared principles, and went on to become one of the world's longest-ruling heads-of-state. In late July 2006, an unwell Fidel Castro temporarily ceded -power to his younger brother Raul. Fidel Castro officially stepped down in February 2008. Castro died on 25 November 2016, at 90.